« Free ProdMod LED Camera Light Workshop in Brooklyn! 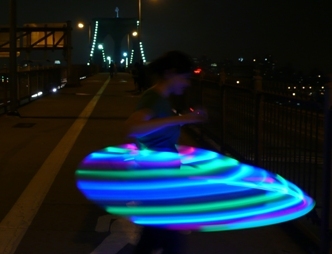 FREE LED Hula Hoop Workshop and Hoop Repair! I am teaching a workshop at 3rd Ward on Wednesday April 16th in Brooklyn. Bring your hoop parts or buy your hoop at a discounted promotional rate and pick it up in class. I’ll be focusing on the 1inch thick hoop but I can also accomodate someone with other sizes. 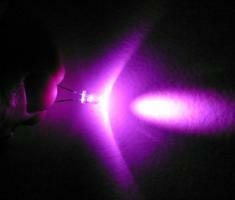 I will take you step by step through making your very own LED Hula Hoop! This is also a great opportunity to ask questions or maybe even repair a hoop you already own. Does your Psihoop or superhooper need refreshing? Busted switch? Bring it in and i’ll see what I can do. If you are in the area I recommend checking it out. Even if you aren’t sure about buying one you can sign up and see how its done. Meet people with similar interests, share info. I’ll also try to bring a few extra kits for last minute purchases. If you are interested please sign up today, the original deadline is tomorrow. Full details can be found at bottom of 3rd ward’s page. ** If you are having trouble with any links or can’t pay through paypal please contact me. Paypal should allow you to pay with credit card even without being a member of PayPal. So if you are coming on Wednesday here are a few tools you can bring to help facilitate the workshop. If you can bring any of these items please leave a comment below so we know how many to expect. Just use a nick name that I will recognize. - Rotary tool – we have just one so far. I can bring a hair dryer. It is orange and lights up. Not as pretty as the LED’s, but I’m sure it will be effective. I will bring a dremel rotary tool, a hair dryer and needle nose pliers. can you bring white electrical tape…? yes I will have 3 rolls of white electrical tape for everyone to share. I will also have 6 wire strippers. I will bring my drill and drill bits and my leatherman tool which has knife, pliers, and I think it has a wire stripper too.